Built in 1898 by Laird Brothers, Birkenhead. Built for Prince Albert of Monaco, and named Princess Alice II, and used by him for Oceanographic research. 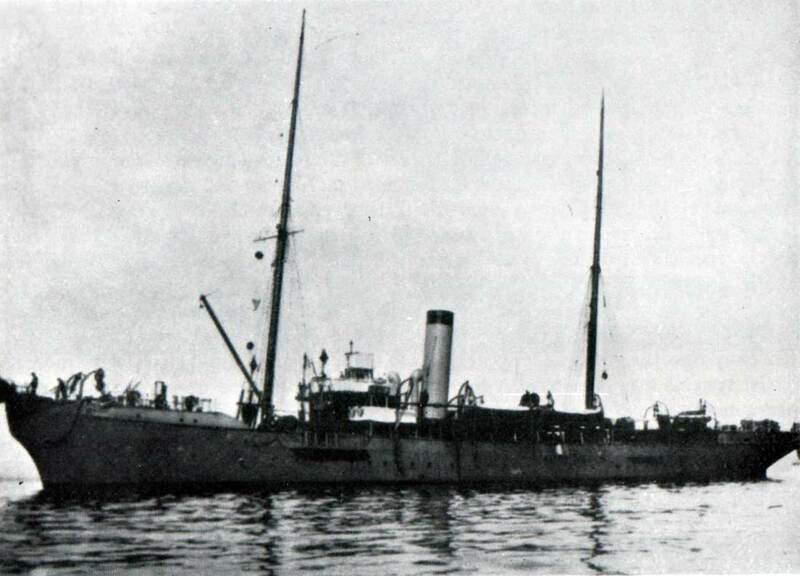 Sold in 1902 to Lord Inverclyde who used it as his private yacht; he renamed the vessel Beryl. Sold by him to the Commercial Cable Company in 1921, the company having the vessel converted to a cable repair ship, to be based at Plymouth. Fitted with two cable tanks with a combined capacity of 10,000 cubic feet and both having inner and outer sections. A single combined paying out-picking up machine was installed on the forward well deck between the foremast and bridge. Three bow sheaves were also fitted as was a new forecastle. Following the conversion the vessel was renamed George Ward, after a former Vice President and General Manager, George G. Ward. Sold for breaking up in 1923.